What’s the Holy Land without her people? Two hundred thirty years ago, Israel looked nothing like the pulsating cholent-mix of Jews it is today. As a matter of fact, it wasn’t called Israel at all. Governed by the Turkish Empire, the tiny expanse of holy land had been largely bereft of its people since the destruction of the Second Temple in 68 AD. Here and there, pockets of Jews and even Torah giants, such as the Ramban (Rabbi Moshe ben Nachman 1194-1270) had made the arduous journey to fulfill the Biblical command to settle the land, but the appalling living conditions and dearth of economic opportunity kept their numbers small. Rabbi Shpitovka quickly realized that the only way to maintain a Jewish presence in the Holy Land would be to enlist the help of the communities back in Poland. In several historic letters, he described both the spiritual richness and the material destitution. The response was prompt and generous. The greatness of our leaders lies in their awesome vision; in the way they look out for their brethren across continents and generations. With characteristic insight, these four great leaders ensured the continuity of Jewish life in the Holy Land, an achievement appreciated even more after the Holocaust. It would be the channel by which Jews in the Diaspora could provide assistance to their struggling brothers and sisters in Eretz Yisroel. After all, although not every Jew can pick up and move to Eretz Yisrael, it is a mitzva, a commandment in the Torah. By supporting those that do, we get a share in their mitzva. From the Torah giant to the simple peddler, European Jews knew without a doubt that by contributing to Kupath Rabbi Meir, they were getting back a lot more than they could ever give. Along with every donation, they sent a kvittel, a written prayer request. The members of the kollel would pray for them at the kever of Rabbi Meir Bal Haness, evoking his promise to supplicate the Almighty on behalf of anyone in need. By 1809, three groups of talmidim of the Gra (Vilna Gaon) had arrived in Eretz Yisrael, and they formed a new kollel, called Kollel Vilna. One of their leaders, R’ Yisrael Shklov (1770-1839) had spent two years fundraising in Europe in order to establish the Kollel Vilna. Because of the difficulties inherent in travel and transporting funds, R’ Yisrael Shklov worked out a creative arrangement with Kollel Polin. The two kollelim would link their coffers, and when funds would reach the Holy Land, they would be distributed equally. One record shows that between 1838 and 1840, 41,000 ruble were collected from Europe to support the activities of the kollelim. This arrangement worked well until 1848. Then, at the behest of the three brothers from the rabbinical Levi family, they reverted back to their separate collections. Let’s make Jerusalem livable again! With funds from both kollelim being channeled towards rebuilding the infrastructure of Jerusalem, the golden city soon looked better than it had since the destruction of the Second Temple. New walls of Jerusalem stone housed shuls, mikvaos, hospitals and homes. Under the leadership of prominent Polish expats, such as David Yellin (1803-1863) who arrived in 1834, the number of Polish Jews grew to 500 by 1840. Entire communities evolved, and more European Jews were drawn to join them. As far back as 1833, Polish newspapers such as the ‘Kurier Warszawski’ report masses of Jews seeking to relocate to their Holy Land. Polish newspapers report that when 900 Polish Jews requested permission to emigrate in 1840, the Russian Czar (who controlled Poland at the time) refused. Although there wasn’t much anyone could do at the time, the yearning for a true Jewish life in the Holy Land only intensified. In 1850, news that Rabbi Moshe of Lelov (1776-1850) was moving to Eretz Yisroel ignited sparks of interest throughout the shtetels of Poland and Russia. He planned to move his family over at the first opportunity. Several of his prize talmidim accompanied him, and at the journey’s end, they received a warm welcome. Tragically, soon afterward, Rabbi Moshe passed away. Although his days in the Holy Land were few, he did merit burial in the land he had worked so hard to reach. In 1866, ‘Halevanon,’ the Jewish newspaper in Eretz Yisroel proudly announced the presence of more than 3,000 Polish and Russian Jewish immigrants. Rabbi Meir Auerbach (1815-1878) had left his honored position as Rabbi of Kalish, Poland to head the Kollel Polin in 1859. It didn’t take very long for his fellow Jews to recognize that their new leader possessed not only a fierce love for the land and her people, but the energy and ambition to make things happen. Soon after his arrival, he purchased a complex of buildings in the Old City to house the Polish immigrants. He was also a key figure in the establishment of the Bikur Cholim hospital, still in heavy use today! He worked alongside R’Shmuel Salant (1816-1909), the head of the Kollel Vilna, and together they tried to purchase large plots of land, build beautiful cities, and encourage more of their fellow Jews to settle in the Holy Land. Rabbi Meir Auerbach orchestrated the development of Petach Tikva, a beautiful suburb on the outskirts of Tel Aviv. It became known as ‘eim hamoshavim,’ the mother of all future settlements, for the magnificent precedent it set. Rabbi Shmuel Salant was so impressed with the newly arrived rabbi from Poland, he named him the Chief Rabbi of the Ashkenazim. Rabbi Chaim Elazar Wachs (1822-1889) had succeeded Rabbi Meir Auerbach’s position back in Kalish and they continued to work in tandem to benefit the kollel. He felt strongly that they should not rely on collections. The future of Jewish growth lay in becoming self-sufficient. He traveled to the Holy Land several times to implement his ideas. In 1875, he had 600 esrogim trees planted. 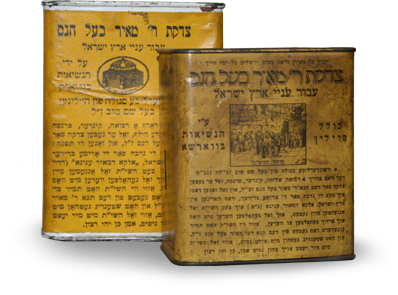 By 1883, over 40,000 esrogim were exported, creating jobs and earning a respectable sum for Kupath Rabbi Meir. The esrogim project continues to bear fruit even today! In 1870, the leaders of Kollel Polin and Kollel Vilna came a hairsbreadth away from buying a large portion of the Holy Land from the governing Turks. Opportunity knocked when the Turkish government offered to sell a large plot of land that they had seized from Arab farmers in a tax dispute. The expanse of land for sale totaled 4,000 dunam, spanning from Jericho to the Dead Sea. Owning this land would provide much more than just housing, it held enormous potential for agriculture and mineral extraction. Rabbi Meir Auerbach immediately contacted his European counterpart, Rabbi Chaim Elazar Wachs, who in turn approached several European activists whom they knew would be interested; Sir Moses Montefoire, Rabbi Leibel Kushmark, and Rabbi Nosson Adler. 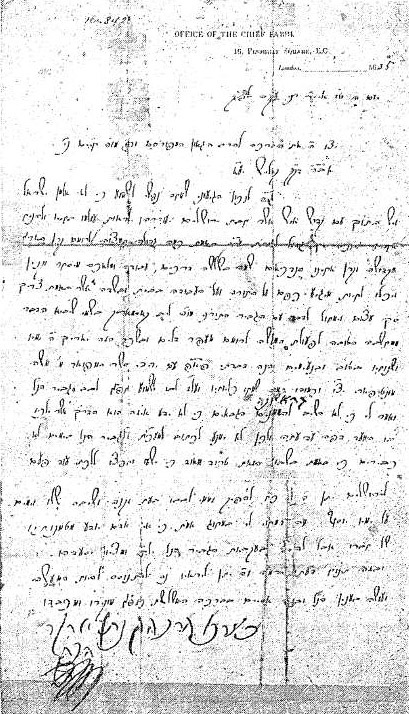 Rabbi Leibel Kushmark, the wealthiest Polish Jew at the time, quickly amassed the requisite 100,000 rubles necessary for the purchase of land and equipment, and after much negotiation, they signed off on the deal. The paperwork was duly sent to Istanbul for approval, but there, when everyone was sure it was a done deal, it fell apart. The Sultan only had to glance at the papers to see that the buyer was a Russian citizen, and with Turkey and Russia at odds, he wasn’t about to swallow that. Without a moment’s hesitation, he purchased the property himself, and the opportunity evaporated. Although Rabbi Meir Auerbach himself was drained by the defeated deal, he instructed his adherents to do whatever they possibly could to continue building Jerusalem. Setting their sights somewhat lower this time around, they focused on solid projects with clear, immediate benefits. Rabbi Chaim Elazar Wachs continued where Rabbi Meir Auerbach had stopped. In 1875, he purchased Kfar Hittim, a small farming village, from local Arabs. New immigrants could settle there and immediately start farming to provide for their families. In 1886, he organized the acquisition of a number of homes in the Arab Quarter, known as Bab al Huta. That area is part of today’s Old City. Also in 1886, Rabbi Wachs founded Yeshivas Chayei Olam for boys in the Old City. The yeshiva has moved since, but it has remained steadfast to its sacred mission of educating generations of young boys. In 1894, Batei Warsaw, today’s famous Meah Shearim neighborhood, was built from scratch to accommodate hundreds of Jerusalem families. By the turn of the century, Agudas Yisrael was working actively to strengthen the Jewish presence in the Holy Land. Rabbi Yaakov Meir Biderman (1870-1941), leader of Kollel Polin at the time, helped actualize their plans. With the Aguda involved, the annual donations grew to $100,000, a very significant sum at the time. With the outbreak of World War Two, Kupath Rabbi Meir’s activities were suddenly infused with an unprecedented urgency. In hindsight it became clear that all the efforts of the past century had laid the groundwork to provide a home to tens of thousands of war refugees. Devastated Jews who fled the sudden animosity of their European neighbors, or the furnace of the Holocaust now found comfort amongst their brothers. Large sums were allocated to settle the refugees respectably. Rabbi Yaakov Chanoch Sankovitz (1895-1957), director of Kollel Polin in the late 1940s, is credited with opening Kupath Rabbi Meir offices around the globe. Now Jews in different parts of the world could join the efforts to support their brothers and sisters in Israel, and benefit from Rabbi Meir’s timeless blessing. By 1966, the annual contributions from generous Jews worldwide totaled 584,00 lirot. What a nation! By 1972, Kupat Rabbi Meir’s activists had enough experience and clout to undertake an extensive housing project in Jerusalem. 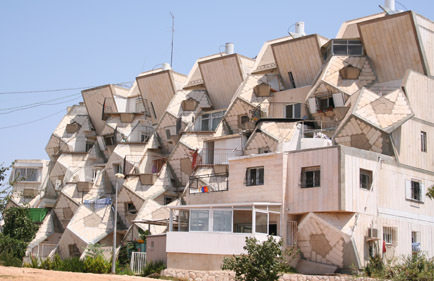 The construction of Ramot Polin created 720 sunny new apartments in the famous ’eggbox’ architecture. Many of these programs continue to flourish, despite all the ups and downs in the global economy. With your help, we will continue our holy work wherever it is needed!